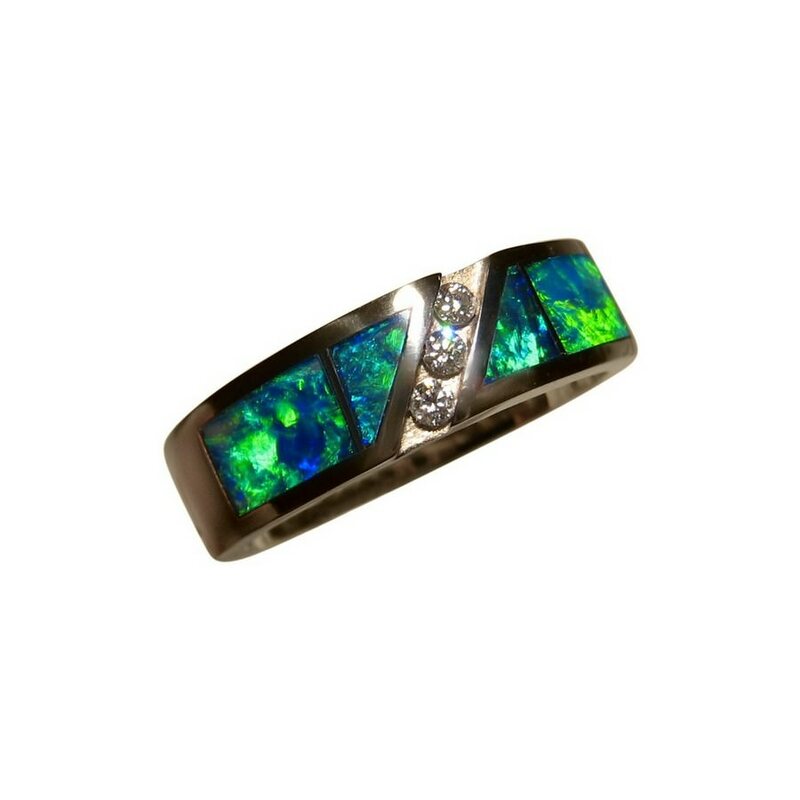 An Opal ring for men with inlaid Green and Blue Opals accented with three Diamonds in 14k Gold. In stock and ready to ship. 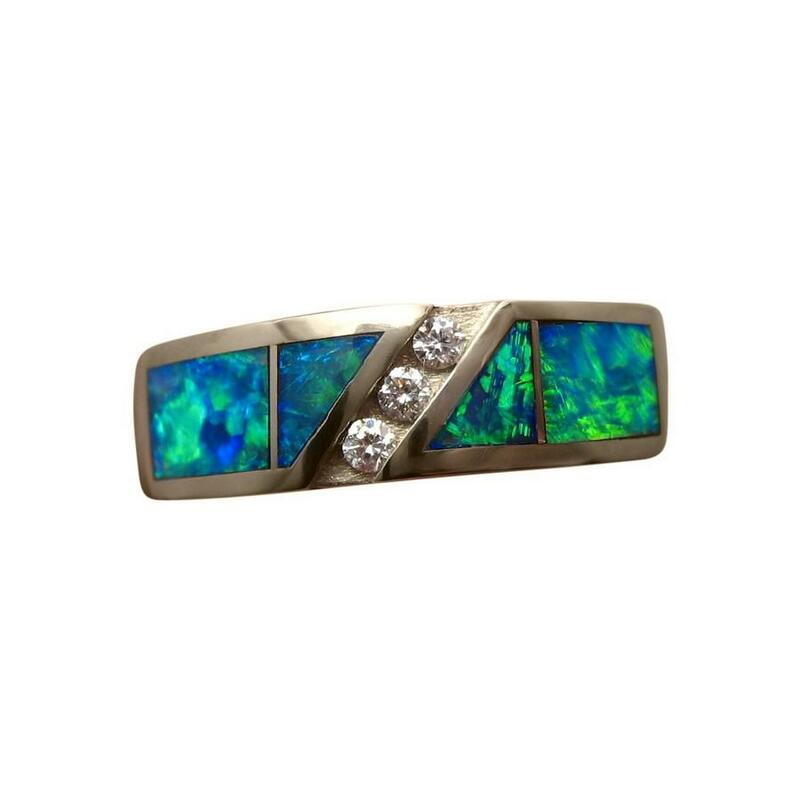 This stylish Opal ring for men is inlaid with four very bright Green and Blue Opals that are rectangle and triangle cut with three white bright Diamonds down the center. The 14k White Gold ring weighs over 8 grams, is 6.7 mm across and is ready to ship in a size USA 12 or one can be Made to Order in any other ring size or choice of Gold color. 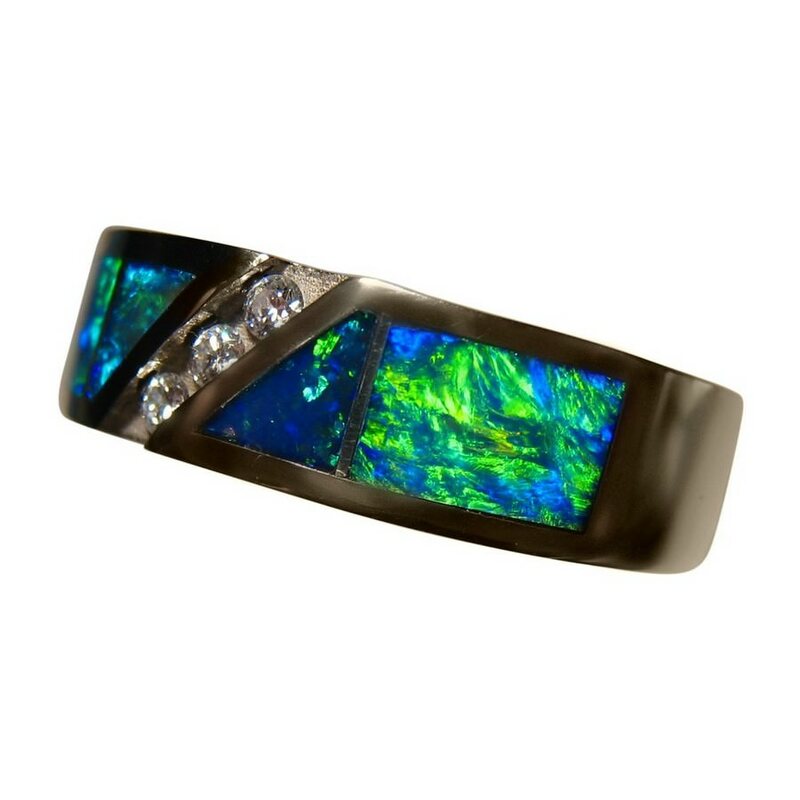 This ring can also be made using other gemstones instead of Diamonds, such as Tsavorite, Sapphire or Ruby for example. Contact through this product page advising your preferences for a no obligation price.